Much of creating online content is about keeping it simple: creating catchy headlines; writing in clear and concise terms; addressing our audience’s needs and desires. And while that holds true, there’s a specific type of content that benefits from a more formal, academic approach: a white paper. White papers can be a great asset to our content marketing. They are aimed at the decision makers in an organisation and are characterised by high-quality, well-researched content. This means they are usually most successful when written by someone who really understands the finer points of the industry and topic being discussed – but it also means writing them requires time and dedication. Perhaps that all sounds great in theory but not in practice. As B2B marketers we have a lot of balls to juggle – so is it really worth spending hours writing a white paper? In fact, the potential to generate leads and increase sales is huge. And isn’t that the aim? A white paper is not a blog post: the people reading it are more invested. They have already identified their problem and now they want to know, in detail, what type of solution they should seek out. A 2014 report by Demand Gen found that, while eBooks, blog posts and videos are becoming increasingly relevant to B2B buyers, white papers are still the most popular type of content used to research buying decisions. 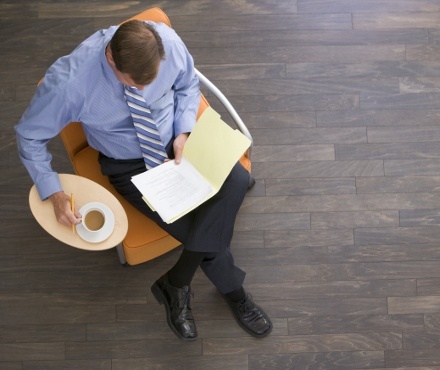 78 per cent of those surveyed said they had read white papers during the last 12 months. And it makes sense when you think about it – writing in detail about a subject shows the reader that you really know what you’re talking about. This is a chance to prove to our audience that we know what we're talking about and they can trust us – and if we succeed they are far more likely to enter into a business relationship with us. Once you’ve identified where you can display your expertise and benefit your audience, it’s a good idea to spend a significant amount of time planning your white paper in depth. This not only involves speaking to experts in the field and carrying out research online, but also creating a formal structure for your content. Throughout this process we should always keep in mind our reader. White papers are aimed at executives and the tone of our writing should reflect that, demonstrating both knowledge and authority. The time required to produce an excellent white paper cannot be over-exaggerated, so hiring an outside writer can provide a solution. But this isn’t a task that can be completely outsourced as you’ll still need to take the lead on the project. However, by fully briefing the writer on the task in hand and ensuring that they have complete access to the appropriate people, information and resources, you can be assured of a successful final result. In a fast-paced world, white papers require us to slow down and delve deeply into a topic. But while they can occupy a significant chunk of our time, they can deliver a tangible return on investment by convincing decision-makers to choose us. Undertaking the right amount of planning and research and always keeping the reader in mind are the ingredients for success. For more detailed information about how to write a white paper, download your free eBook by clicking on the link below.